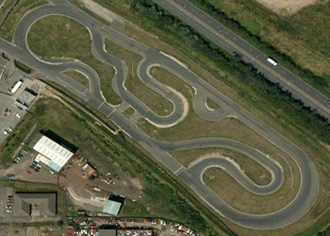 This is officially the longest go kart trak in the world and an absolute monster of a circuit - it just goes on forever! As wide as the M25, a banked corner and every possible type of bend you could wish for: not to be missed. These guys started the karting revolution going back in the 1980's so they know everything there is to know and more besides. Grands Prix, Endurance racing, Iron Man races - they do the lot and at very reasonable prices. Go there. Follow the A66 through Middlsebrough until you reach the Nissan Garage roundabout where you take the third exit southbound. At the next roundabout take the first exit left into South Bank Road and the circuit will be on your left.